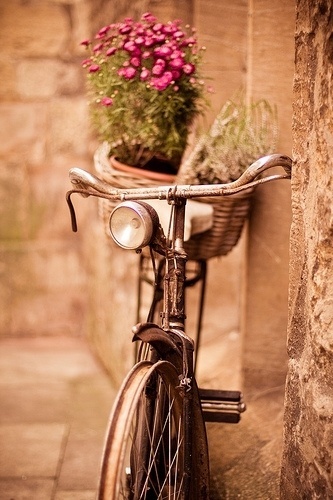 There is just something about the pairing of old bikes with flowers that seems like a marriage made in heaven. 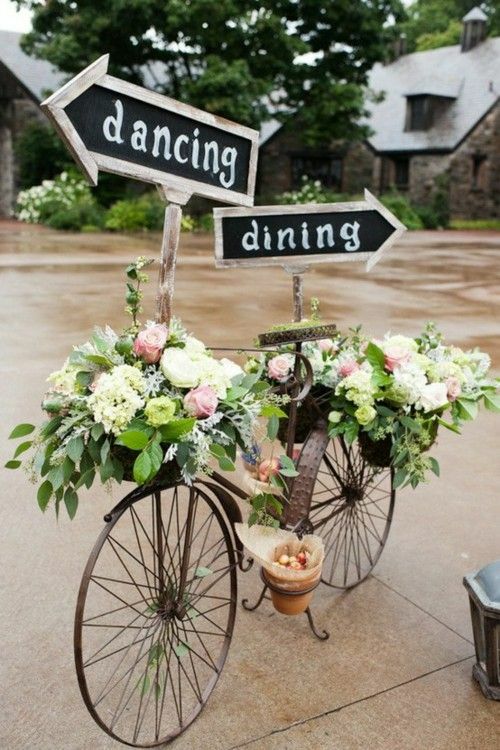 Check out my new Pinterest board bikes and gardens for more great ideas. What fun photos, Laura! Hope you have a good day. Great minds think alike! 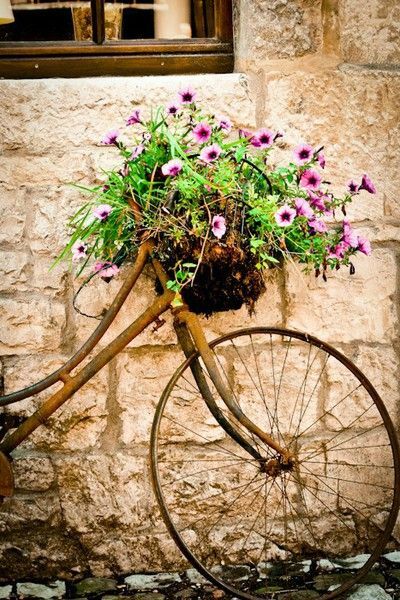 I love old bikes and flowers too. The photos are great! :D This post has made my morning. I needed a smile, and boy did this post deliver! I love that pink one! Lovely photos! Years ago (I was ahead of my time), I parked an old coaster bike in my back garden. All but one vintage loving friend said: "Why is there a bike out there?" I got rid of it. Guess I need more artsy friends and relatives!! I do love bikes in the gardens also! the pink one really caught my eye! Ah you make my heart sing this morning. Very cute! 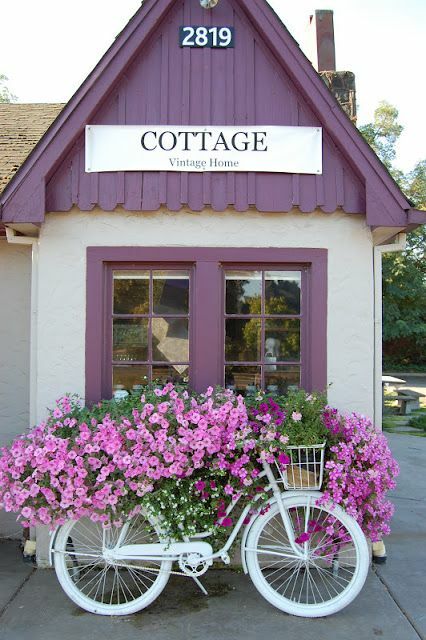 I always think of a bike with flowers in the basket as something you would see parked in front of a storybook cottage with a white picket fence. Must be from my childhood books! Laura these are great images. I love the first one is my favorite. Laura, these photo’s are wonderful. Glad you are back. Have a lovely week. You picked some lovely photo's to show us. 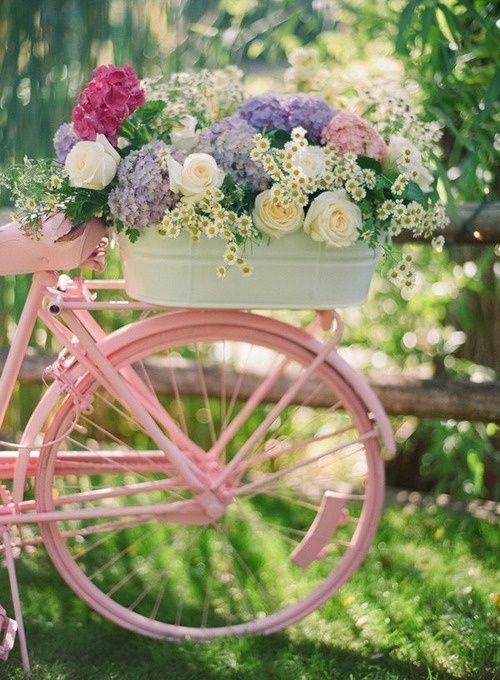 Your right for some reason bikes and flowers are a great combination. I love bikes in the garden. I have one of my own. Just love the character they give to the garden. Loved all the photos. The last 2 photos are my favorites. Love bikes all decked out in flowers!